Gameloft released a teaser video for the upcoming N.O.V.A. 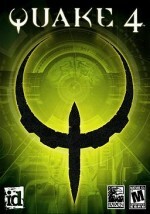 3 game which is rumored to be powered by Epic Games’ Unreal Engine 3. This is the third installment in the N.O.V.A. franchise, which stands for Near Orbit Vanguard Alliance, and picks up with Kal Wardin crash-landing towards Earth. Gameloft has been known for their console-quality mobile games and N.O.V.A. 3 doesn’t look to disappoint. Not much else has been revealed about the game other than the fact that it will be coming “soon” to Android and iOS. Many mobile gamers are hoping Gameloft doesn’t decide to go freemium and completely ruin the franchise as they did with Dungeon Hunter. I guess we’ll have to just wait and see. Until then, enjoy the epicness of the N.O.V.A. 3 trailer below. I am, I guess what you call, game challenged.. 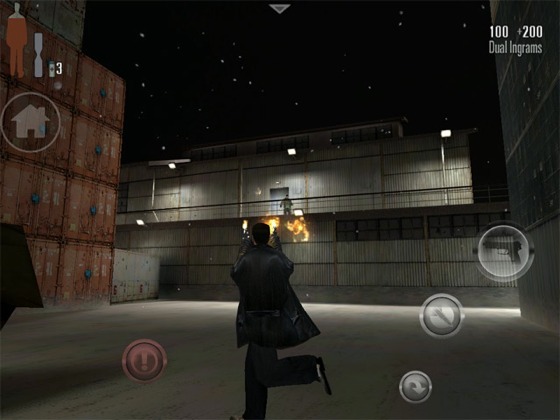 The screenshot above might look like the typical UI mess of an Android phone, but it’s actually an iOS reflex game called Slide To Unlock, in which the only goal of the game is to eponymously unlock slider after slider in all directions — up, down, left and right — but not through multiple dimensions, like time and space. It’s like a lock screen Simon. If this looks like your speed, there’s not much to lose, short of $0.99 over at the App Store. I’m expecting some really cool iOS/Android stuff to pop out of indy dev First Post. The year-and-a-half-old startup is run by Jacob Robinson, the former art director at Sony Online Entertainment (who had a hand in forming legendary titles like the EverQuest series, DC Universe, Star Wars Galaxies and Unreal Tournament). It’s also completely self-funded, “which is not an easy thing to do at all,” says Robinson. First Post’s debut game, Snacksss, may not exactly be the stellar breakthrough title one might have hoped for; the cartoony, Sonoran Desert-themed iPhone game has lots of pretty artwork but needs help in the gameplay department, which has the player listlessly flicking a hungry snake at rabbits ad nauseam. But that doesn’t really matter — Snacksss is just the first item on the menu. Robinson says there’ll be a handful of smaller titles (Snacksss being the first) First Post will put out before the Really Big Projects they’re working on right now, which will focus on social gaming, are finished. He was coy about revealing what those big titles were, but hinted that one was a social word game. Along the way, First Post is also assisting companies like Marvel, THQ and none other than the Harlem Globetrotters on their own titles. First Post built Snacksss with the Unity engine, and will likely do the same with other similar games, which means they can be easily exported to Android or other platforms. Will first post make a big splash on iOS and elsewhere? We’ll have to wait and see. In the meantime, your snake can eat bunnies (not a euphamism). Btw, you’ll notice there’s no link to the game — that’s because it wasn’t up at the App Store as this post went live; we’ll add a link when the game is live. Don’t keep it to yourself: collect Achievements and show off on the Leaderboards! DEAD TRIGGER will be released sometime next month for both Android (with special Tegra versions) and iOS, but fear not, we have some gruesome trailers to get your blood pumping.